After a one night stand with Ty, Luna finds herself pregnant. On the up side, Ty wants to raise this baby with Luna to make it work, but they’re both basically strangers. They both make an effort until their individual struggles get in the way. Let me begin by saying this is not a happily ever after read. And i’ll follow that and say I still recommend this book because the journey of it is worth reading. Luna and Ty’s story touch on a number of issues such as depression, substance abuse and toxic relationships. What I really liked is that the author didn’t tell her audience that Luna suffers from depression over and over. She showed that. It was realistically done and very relatable. Sadness is not depression. Depression hits even when everything seems okay and everyone around you loves you and supports you. Ty has a past with alcoholism, and that too is a greyed area. It’s a misconception to think alcoholism is a choice. There are issues deeply rooted in Ty’s past that leads him to this. Overall, I’d say this book touched on heavy subjects that’ll give the reader an intimate insight of mental health. Romance, love, family, humor are all part of the package if you decide to pick this up. Rated four stars! 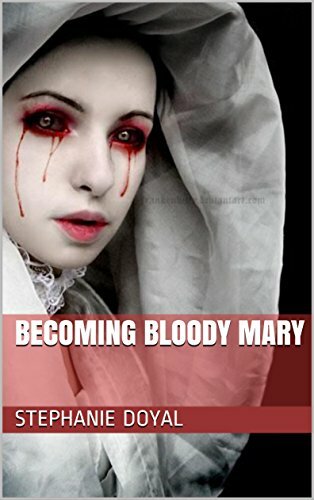 Bloody Mary is set in the 1800 hundreds and starts with couple who has two daughters. One daughter (Mary) has black hair and gray eyes while the other has blonde hair and blue eyes like their parents. Her sister, Elizabeth is favored over Mary by their parents and the community. When Mary goes out, whispers follow her. People suspect that she is not her father’s child based on her appearance. As they grow up, Mary has great relationship with Elizabeth. In fact, Elizabeth is the only one that sticks up for her. They’ve both reached an age of marrying but it’s only Elizabeth that attracts suitors. However when Mary sets her sights on one man, she falls in love. This tale isn’t so clear cut as you can see from the title. Mary is betrayed, and her reaction to her family’s actions are worse than anyone can imagine. This is a tale of tragedy. A quick engaging read. Kept me turning pages. If you’re into short stories then this one is a good read for you. This installment begins with Cinder, Captain Thorne, Scarlet and Wolf on the run. Their mission is to over Queen Levana and prevent her army from invading Earth. 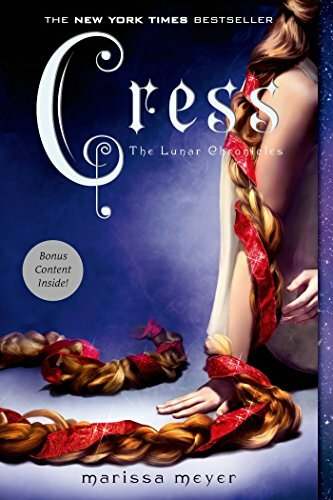 Cress, the title character, is trapped on satellite in space. She has exceptional hacking skills and is ruled over my Sybil Mira. One of her tasks is to track down Cinder and turn her over to Queen Levana. She also wants to break free of her prison, and on contacting Cinder, the group decides to rescue her. All hell breaks lose, when the group splits up. A longer read than the first two books but definitely more captivating than book two. So it was a fresh outlook on the series. The writing and action was also better. In this book we see a lot of action, which is admirable since it’s so hard to capture a action with words. The book also takes some getting used to if you like less complicated reads. Meaning there is a bigger cast and the story follows most of them. Highly recommend if you enjoyed The Mortal Instruments or Shatter Me. The premises may be different but it delivers when it comes to a wide range of characters, a lot of plot and action. Jael Tindle, unlikable in her community because of her unapproachable nature. She receives a note that nearly sends her to the point of insanity. The note brings with it a blast from her dark and deadly past and Jael will do anything and everything to protect her son from this past. She hires Private Investigator, Zander Williams to follow her son for his safety. But Jael isn’t so safe herself. Danger begins to follow her everywhere she goes. Everywhere she turns, the plot thickens. Zander, who is drawn unknowingly to Jael, digs up her past and is determined to protect her through it all until the mystery is solved. For a debut novelist, Cassie Sharp is a brilliant writer. 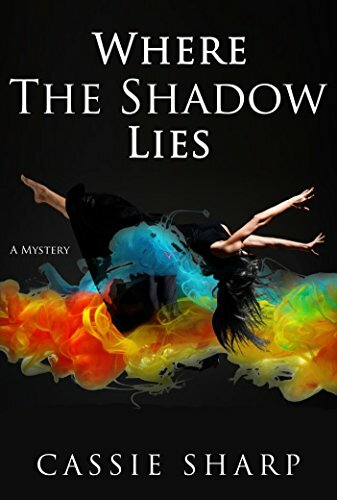 Not only does she weave this dangerous tale with complicated twists and turns, she delivers it in the manner of an established author. I always stress on the fact that I read for the writing, not only the story and this book did not disappoint. The vocabulary was used articulately to give the reader a proper assessment of feelings and actions. Cassie also hit the nail on the head with showing not telling. On the other hand, I enjoyed the events of the story itself. No plot holes. With every chapter I was left wanting to know more and more. This…takes talent. Hats off to the author. Can’t wait to see what she comes up with next! Synopsis: Cassidy Rae works tirelessly at a diner to make ends meet. Her only focus in life is Rae, the daughter she’s raising alone. Rae’s father is out of the picture. That’s because Cassidy Rae never told him about her. She meets Jason Stone, a country music star who can’t take his eyes off of her. Soon after, Jason is not only inching his way into her heart and life but also Rae’s. My review: After I read this book, there was a sweet aftertaste in my mouth. None of the characters were douche bags even the one’s that you think might have been. A very charming story with a handsome hero and a strong heroine. The lightness of this book is just what I need in between more complicated stories. That isn’t to say Cassidy Rae didn’t face her own trials and tribulations in this story. But I’ll leave that for you to read about when you buy the book. 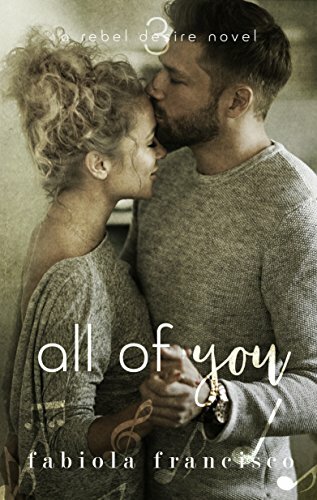 Completely recommend if your love heartwarming happily ever afters. Way back when, I started blogging mainly to express my thoughts and feelings. My struggles with my own demons. And today, I’ve not been doing much of that. It’s because I’m no longer anonymous. I had to develop an online personality in order to network with the online community and since then, I’ve been also hiding a part of myself from my blog. I’ve gotten so good at hiding when I’m down, sad, hurt. I reached expert level you can say. I don’t ever talk about the demons that crop up ever so often. I admit, it has gotten better with time. Better than it has a decade ago, but when it they come knocking, it takes me down. I’ve reached to the point where compartmentalizing is done more often that expressing. I cannot deal with pain, disappointment, suffering. I feel too much. It’s been one of my biggest flaws. Because I was a sensitive child, I was made to feel odd. I was told that I’m feeling sorry for myself, like it was my fault the way I was wired. Being an adult, I feel it more than ever–that I should keep things inside and not express them. The reality is, no one wants to hear. They get tired of you having dark days. They think you’re not seeking help or you don’t want to be helped. Growing up I was made to believe that depression wasn’t really a real thing. There was just something broken in me that perhaps I’d broken myself. Most of my life, I’ve struggled to find out exactly what it is I did wrong to be this way. All I know is that it hurts. And I have to wear this smile all of the time. I have to be mindful of others. I have to shut my feelings off. How do you name characters? Where do you find character names? Be mindful of genre – A fantasy story involving elves won’t have names similar to a romantic comedy. What era is your book set in? – I’ve seen current popular baby names in books, but these characters are between 18-30 years old. Some of these names weren’t even known back when these characters were babies. Similarly, if you’re writing something set in the Victorian Era, then your character names should coincide. Ethnicity/Origin – If you wish to diversify your cast, you need to name them accordingly. Some research can help you decide on a suitable name. If you’re like me and write diverse characters but the book isn’t based on their diversity, a particular name can help the reader gain an idea of what your character looks like. Special Meanings – Sometimes you want to name your character according to the theme of your book. A perfect example is the cast from the Lunar Chronicles. Wolf. who is a werewolf is called Wolf. Some names can give meaning to your story as well. And not just in fantasy but in contemporary. Names like Hope, Faith, Harmony also have underlying meanings to the plot. Another example could be Holly or Eve for a Christmas themed novel. Name Check – Most names are more common than you think. If this in some way bothers you, do a name search in google. It’s recommended to avoid name association. However, with common names like John Smith you’re bound to come across in abundance. Names that are easy to pronounce – I have a different opinion here because I do like to write people of different ethnicities and cultures. My suggestion, or what I’d do is to include a pronunciation guide at the front or back of your book. Maybe even a little definition or origin information depending on the kind of book you’re writing. Again if you’re writing fantasy, names that are hard to pronounce are inevitable. So don’t let that deter you from naming your character. Hope this helps! Thanks for stopping by and if you have more tips on naming characters, please comment them down below. Writing update: I have been working thoroughly on the same few stories for the past three or four years. Most of which fall into the women’s fiction/Romantic comedy plots. Although these stories come easily to me, as well as the dialogue, I have a hard time writing them. It’s the “in between dialogues” I have a hard time expressing. I think as a person I’ve grown to where I can’t articulate love and romance the way my sixteen year old brain would. Don’t get me wrong, I do adore my stories and I think there’s something special about the originality of my plots. Maybe not the writing so much. It needs some work hehe. But…lately I’ve been feeling like something is missing. I don’t feel proud of these stories in the way that I should. Writing them for myself is one thing, but I still don’t feel accomplished enough to show these stories to others. When I started writing longer stories, my end goal was to get into fantasy/supernatural/horror fiction. Because these genres generally take longer to plot and write, I thought maybe I could dish out some quick love stories in the mean time. However, I have been struggling. And my mind won’t shut up. About the future. About where I want to take my writing. To be frank, I won’t even consider traditional publishing with the romances I write. The plots may be good, but the writing is not. There is just something I can’t exactly pin point that I don’t find there. When I read work from years ago, my voice is actually there. I don’t know why I’ve been experimenting with my writing based on questions asked in social media. My previous blog post deals with losing my writer voice. These days I can’t hear it and it frustrates me to no end. Not only do I want to be a good story teller, I want to be a writer. And there’s a difference. So, earlier today and not for the first time a thought crossed my mind. An idea about Caribbean folklore. I’ve often been afraid of delving into my country of origin in fear of not doing the country and people justice. I fear not correctly portraying something or offending somebody. Every idea needs a good plot as well. And by the time I took a shower tonight, the plot and the protagonist had written themselves in my head. Suffice to say, I’m feeling good about it. I feel comfortable. Maybe I’ll come back to my romances once I’m done or once some inspiration hits me, but in the meantime, I roll with the supernatural story. I hate wasting time so at least, I plan to work out the details and make a broader outline over the next week or so. Fellow writers, do you make writing as complicated as I do? Sometimes I annoy myself. I exhaust myself. Truly. Have a great weekend. Talk to you soon. Just saw that I reached over 200 subscribers. I’m hardly on here and not popular at all but I wanted to pop in and say thanks for supporting the bookish blog.